Uncle Tom's Cabin was a sensation upon its publication in 1852. In its first year it sold 300,000 copies, and has since been translated into more than twenty languages. This powerful story of one slave's unbreakable spirit holds an important place in American history, as it helped solidify the anti-slavery sentiments of the North, and moved a nation to civil war. Arthur Shelby is a good man -- kind and fair -- but he has fallen into financial difficulties. The only way he can set things right is by selling two of his slaves: the strong and faithful Tom, and Eliza's charming young son. Shelby's decision sets in motion two series of events that are as different as night and day, as both Tom and Eliza are forced to leave the Shelby estate. 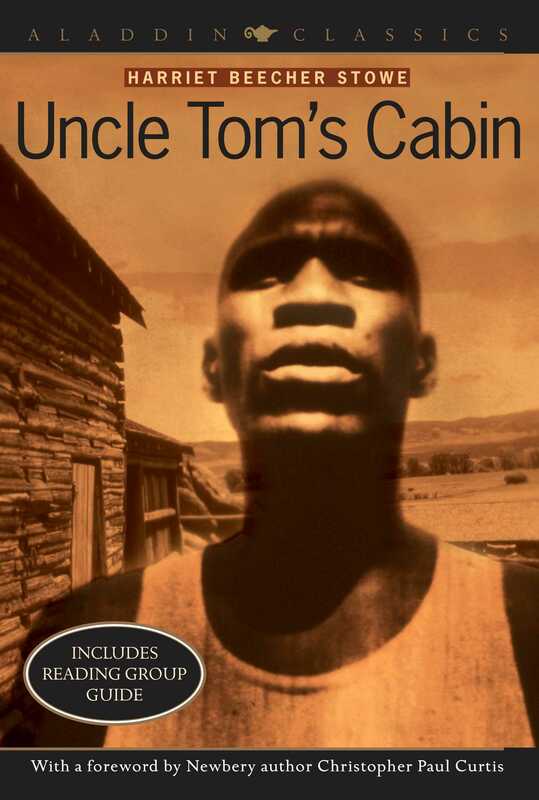 The journeys they take, and the people they meet along the way, lie at the heart of Uncle Tom's Cabin, a story that served as a searing indictment of the slave system that existed at the time. How do the other people on the Shelby estate react to news of the sale of Tom and Harry? What is Mrs. Shelby's objection? How does young "Mas'r George" deal with the news of his friend's departure? How do the other slaves react? Many different people help Eliza during her flight -- Mr. Symmes, the Bird family, the community of Quakers. What similarities and differences are there among all these people? What reasons does each of them give for helping Eliza? Much of the dialogue in the book is given over to a debate on the morality of slavery. Most of the slave owners feel that they are "above" the slave traders. Is this true? Why do you think that so many members of the clergy defended slavery? Discuss the author's attitude toward her black characters. Do you think this was an acceptable point of view at the time? What do you think would have to be changed if the story were being told today? Miss Ophelia's presence in the story allows the author to address Northern attitudes toward blacks. As St. Clare tells her, "You loathe them as you would a snake or a toad, yet you are indignant at their wrongs. You would not have them abused; but you don't want to have anything to do with them yourselves." Is this a fair assessment of Miss Ophelia's feelings? What happens to change her attitude? Discuss the death scenes of both Eva and Uncle Tom. In what ways are they similar? In what ways are they different? Why do you think that the author devoted so much time to these death scenes? Children play a large part in the story of Uncle Tom's Cabin. What do Eva, Topsy, George Shelby, Harry, and Henrique each symbolize? Would the story have been the same if their characters had been adult? Trace the route of the Underground Railroad. Find information about some of the major stops, as well as some of the famous "conductors" that helped slaves escape. Also, research what the punishment was for helping the slaves. Eliza's escape across the river has always been popular with dramatists and actors. See if you can find examples of this scene being acted out (hint: it figures prominently in the movie The King and I). Perform this scene yourself, and any other scenes you think lend themselves well to performance. Uncle Tom's Cabin was very controversial when it was first published, and it's often said to be a contributing factor to the Civil War. Research reactions to the book throughout its history. Investigate the institution of slavery. What were the economic factors that supported it? Could slavery have ended without a war? Quakers played an important role in the abolitionist movement. How did their beliefs make them particularly well suited for the abolitionist cause? A great deal of attention is given in the book to descriptions of food. Find some traditional Southern recipes and try them out. Find other books and writings that were important in the fight for civil rights. Compare them to Uncle Tom's Cabin, both in terms of style and historical context.